When I think of supporting small businesses it's more about supporting someone's dreams. The small business owners in Fort Thomas are your neighbors and your friends. We've stepped out in faith, not only to fulfill our own personal dreams, but also to provide a service that Fort Thomas didn't have before we opened our doors. We choose Fort Thomas specifically because we care about the community and the people in it. And so continuing to use the products and services that our small businesses provide communicates back the love we hope we are putting out there. It isn't just a thing you are buying, it's a relationship. Small Business Saturday Offer: As far as specials for the day, I am for one day only giving a 10% discount on the monthly massage program as long as it is paid in full for the year. You can buy for yourself, or as a gift. And they can contact me for details on how that will work! That would save them $60 and essentially make a massage per month for the whole year cost about $45 for an hour massage! 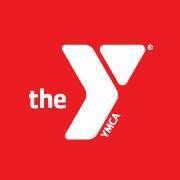 The best part about working at a small town Y is the sense of community. It’s a very warm and open community, allowing everyone to feel welcome. I enjoy putting names with faces and building a personal relationship with those members. It’s a close-nit town where community is eminent. It’s impossible to go anywhere in the city without being greeted with a warm hello and starting a conversation with a familiar face. Being in a small town gives you a good feeling of belonging and togetherness. Small Business Saturday Offer: The special will be: Friday, Saturday and Sunday there will be no activation fee and anyone joining will get 20% off the monthly membership dues. Already a member? Refer someone to join and you will also get the 20% discount. 9:30 – 11:00 - R.I.P.P.E.D. The Y has new classes: We have launched several new class classes the past couple months including Barre, R.I.P.P.E.D and Kick Boxing. These classes have been a nice addition to our group exercise schedule that already includes many favorites like Yoga, Pilates, TRX and Cycling. We are also looking to introduce a couple new classes early in 2016, one of which will be In-Trinity by Johnny G. We will one of the first facilities in the Eastern half of the US to offer In-Trinity. We invite everyone to come check out the Y, see everything we have to offer and get a jump on the new year by joining the Y this weekend. "It's always a great time to shop small and support your local businesses, but isn't it even more special during this MOST WONDERFUL time of the year? We love the holidays for many reasons like reading traditional holiday books, sipping hot chocolate, opening gifts, visiting friends and family, and more." We are a participating bookstore once again for the Indies First program, which is a national campaign of activities and events in support of independent bookstores. The program was first envisioned by author Sherman Alexie in 2013. Local authors and illustrators will be in Blue Marble to sign books and give readings on weekends throughout the holiday season. For more info, see below. #GivingTuesday is recognized as a global day which is dedicated to giving back to our communities, and we are excited to make this an annual tradition with a canned goods drive to benefit Brighton Center, and to sweeten the news even more, when you bring in a canned good, you will save money on your purchase. See below for more specific information on this program. To accommodate your holiday shopping needs, we will be open again for business on Sundays throughout the holiday season beginning on November 29th and ending on December 20th. Sunday hours will be 1:00 - 4:00 p.m. Feel free to contact us or stop into the store if you have any questions. We look forward to seeing you! Mark/FTM - thanks so much for promoting small business saturday the way you do. you are truly a great resource. i will make sure to go to all of these places not just saturday but in the future.